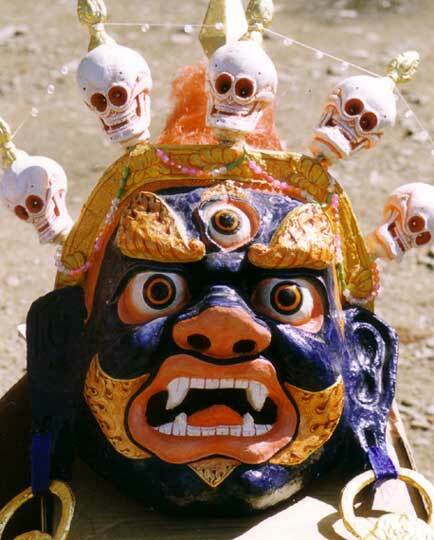 A mask from the Tsam (or Cham) ceremony, a masked dance designed to exorcise evil. The ceremony was held all across the Himalayas, but has been nearly eliminated by the combination of Chinese communism and Western influence. This is from Mongolia.